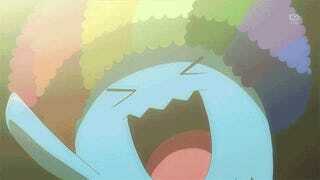 Wobbly Wobuffet! 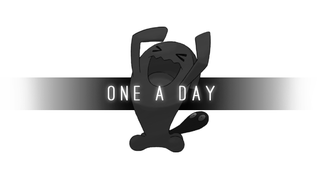 Pokemon One a Day, Series 2 Returns! And...we're back! Sorry I had to take an extra week off than expected. I got sick for the first time in a long time and it really decided to knock me off my senses. Even now I'm still working off the last bit of whatever it was that wanted to make me feel like crap but I'll back to my usual Saiyajin levels soon. SeeBonnyDraw will return the coming Sunday as well. OK, that's enough for now. Let's go!!!! I wanted to do something fun with Wobuffet and play up his poor element of being beaten on. He's a literal punching bag! I let him hang nice and easy in the center of the canvas as the focal point to mimic his actual nature. Sitting next to him, and way higher and away from harm is the speedbag, perhaps the "real" Wobuffet, the "tail" who is thought to be the brain behind the operation. This translation of the creature and it's unique disposition led the whole work through. At first I gave him his iconic arms for his pose, but then it looked too literal. I tried to map the arms onto the bag as his face is seemingly plastered but it looked off and it looks better more simplified in this manner anyway. Thanks guys for being patient, and joining me on the second half of this series! We're gonna look at some cool Pokemon down the line, and I feel much more energetic and more revitalized with interest now that I've had some time away from the series. See you tomorrow and let's aim for another 50 straight! Create a new Pokemon where the design of the creature is hidden behind a veil like Wobuffet and Girafarig. Give it a name, it's type, and your inspiration!